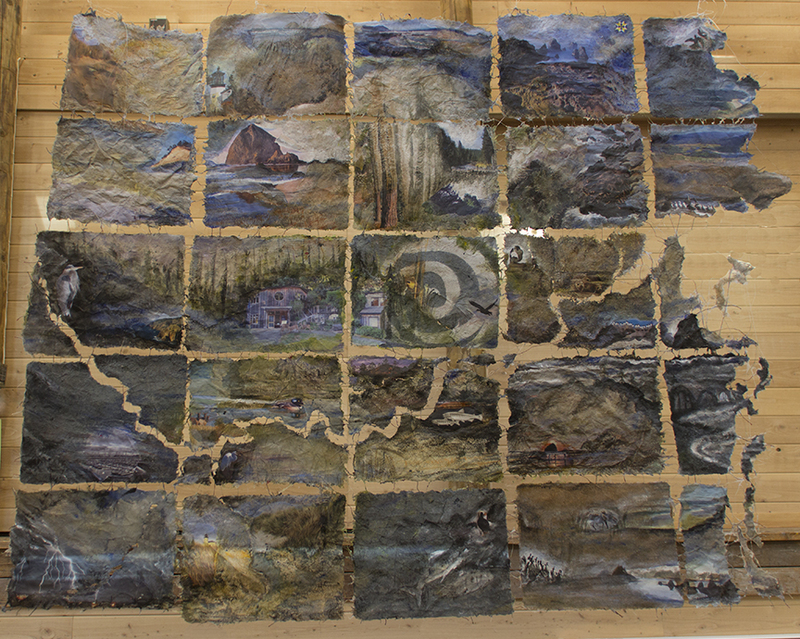 During my recent residency at the Sitka Center for Art & Ecology, one of the artworks I created was a “site map” of the Salmon River Estuary. The Salmon River in this part of Oregon goes into the ocean near Sitka Center. 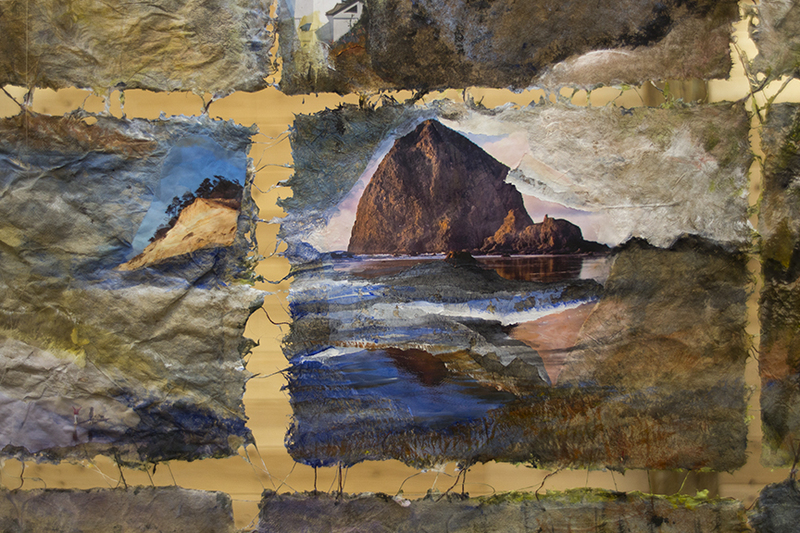 Hiking in and gathering materials from this area for my handmade paper artworks was one of the highlights of my residency from October 16, 2013 to January 10, 2014. 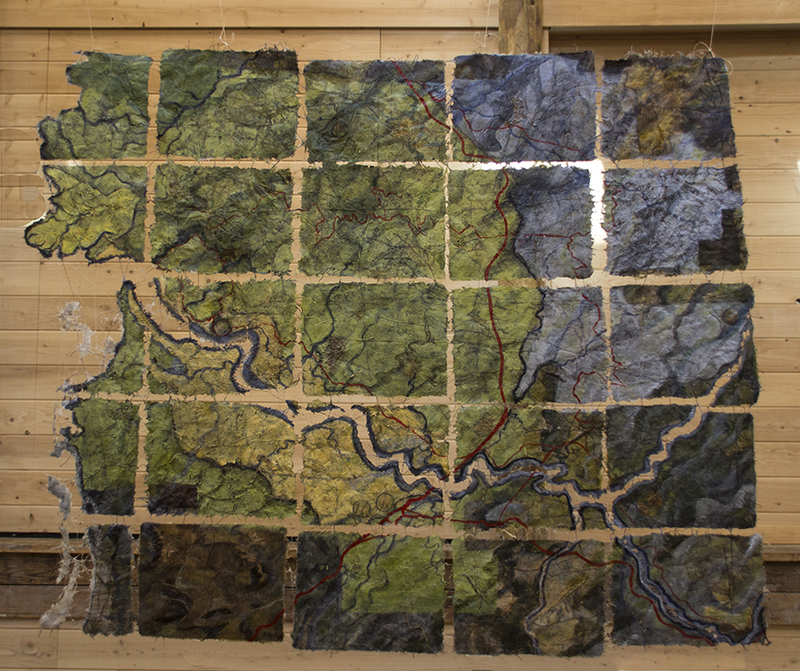 The Salmon River Estuary Site Map is about 4 feet across and about 3 feet high, and it is two sided suspended in space. 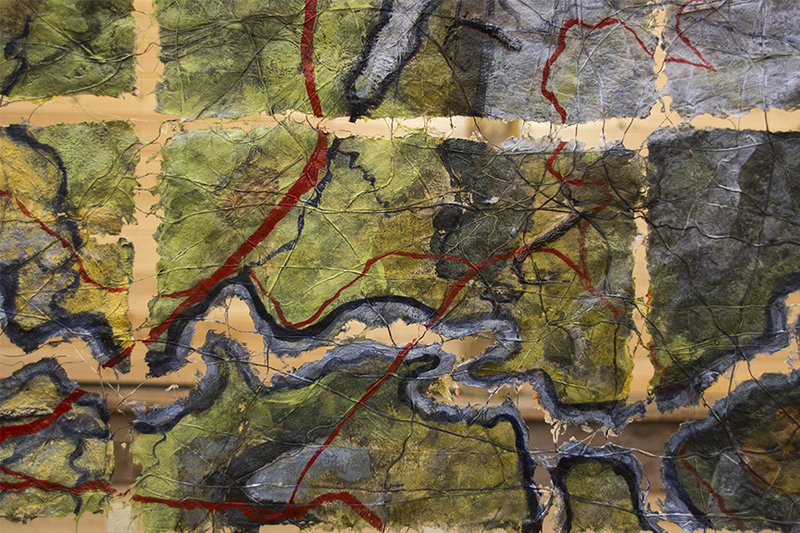 One side of this piece is more like a map of the area and shows a view of the land and rivers, streams, roads and mountains. The other side shows details about this part of the world with the birds, trees, lighthouses and other tourist sites. 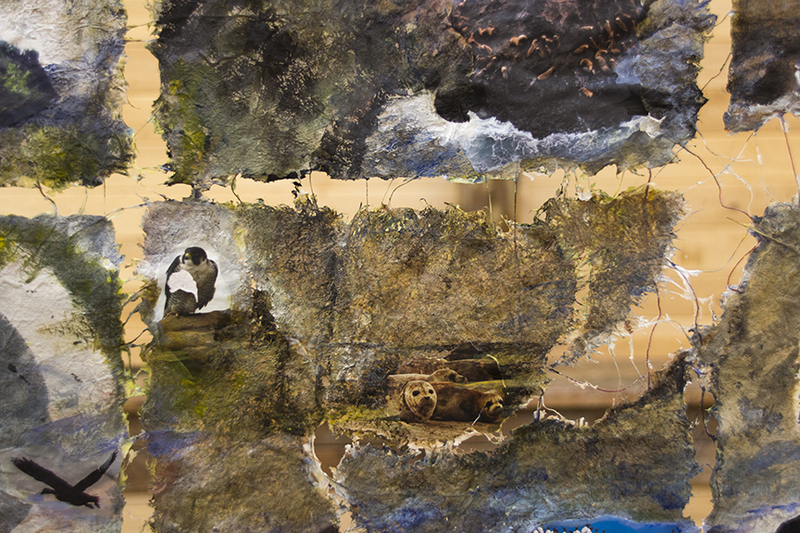 This work uses collage techniques and acrylic painting with natural and found materials. 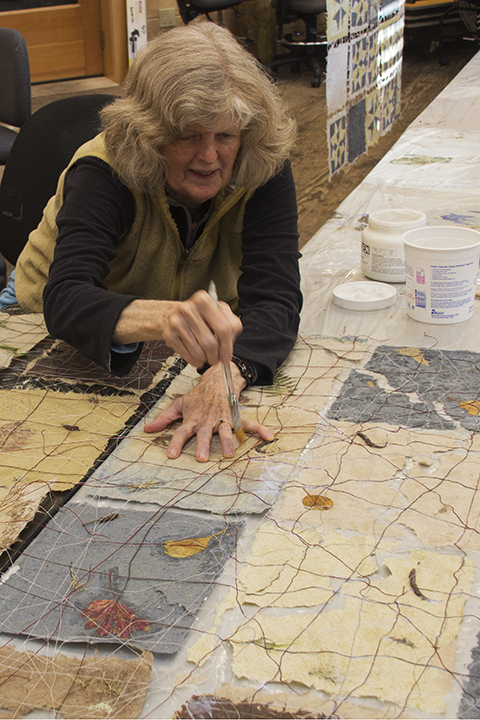 All of the paper for this work is made from plants I collected in the Salmon River Estuary. 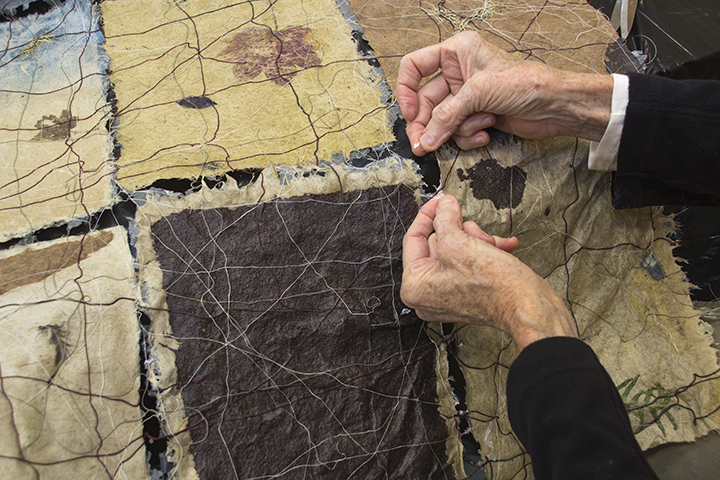 The handmade paper is joined with string, and the piece can fold up like a map for easy storage and transport. 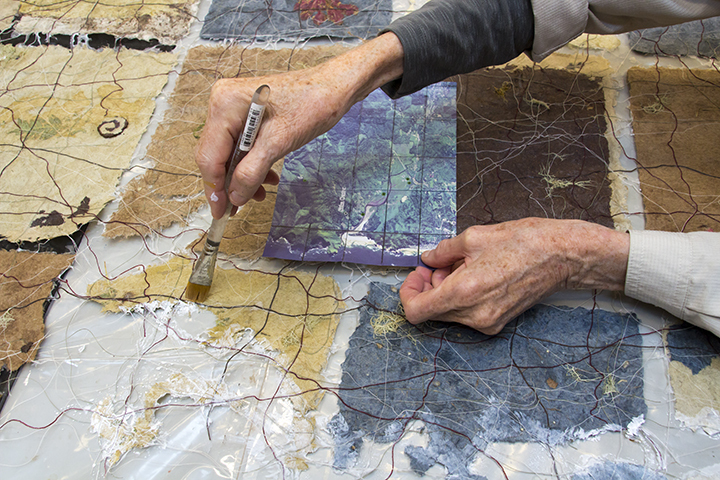 I enjoy making “site maps” wherever my art travels take me, and find that this is a great way to get to know a place.